The Lincoln Trilogy comprises ‘Abuse Cocaine & Soft Furnishings’, ‘Copper Trance & Motorways’ and ‘Anger Limerence & Fault Lines’. They are three separate stories each told by a different narrator in the first person (the football trainer, the chief executive and the musician) but are linked by location and fringe characters. They can be read independently or in any order. They also share a common theme; the impact of crime on relationships. The Lincoln Trilogy will be eventually be available as a single Kindle publication as well as three separate paperbacks. The novel was inspired by locations I love (Lincoln where I worked for several happy years, Istanbul my favourite city in the world and Alanya a repeat holiday destination) and some disturbingly real emotional experiences from the recent past and long ago. If all writers mine their own history, there’s definitely a chunk of mine in here but not actual people. 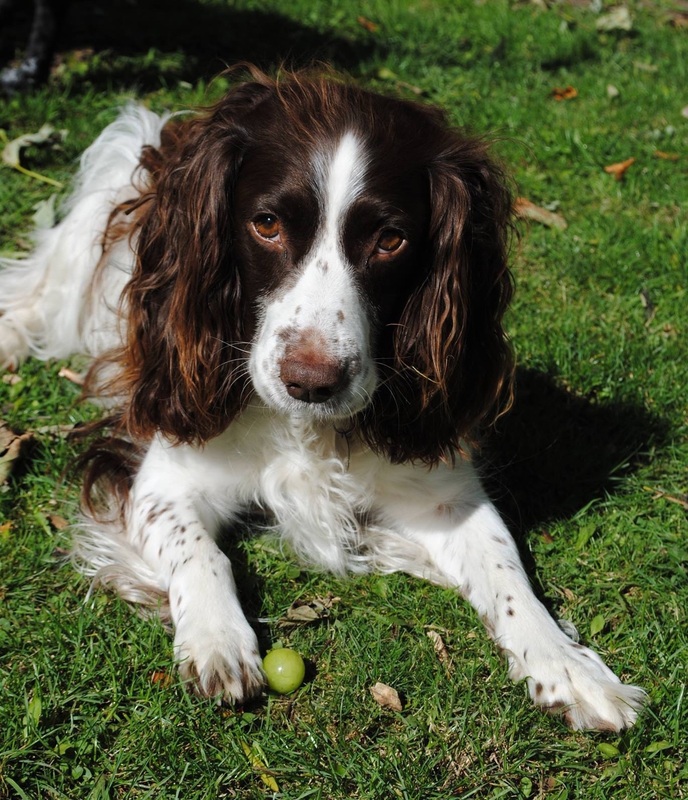 The characters are all composites or imagined with one complete exception: Boo the Springer Spaniel exists exactly as she’s painted in the book. This is the second novel in The Lincoln Trilogy. For fifteen turbulent years I was the Chief Executive of two very different local authorities and those experiences inform the background events against which the main relationship plays out. And if some of the happenings seem a little far-fetched I assure you that if anything I toned them down to re-tell them and the accidents which frame the main narrative are both founded catastrophically in actual life. As for the Istanbul experiences those involved in them will certainly recognise the when, where and how. All I had to do was get them down on paper and blend them into the story I was weaving. This is to be the third novel in the Lincoln Trilogy. 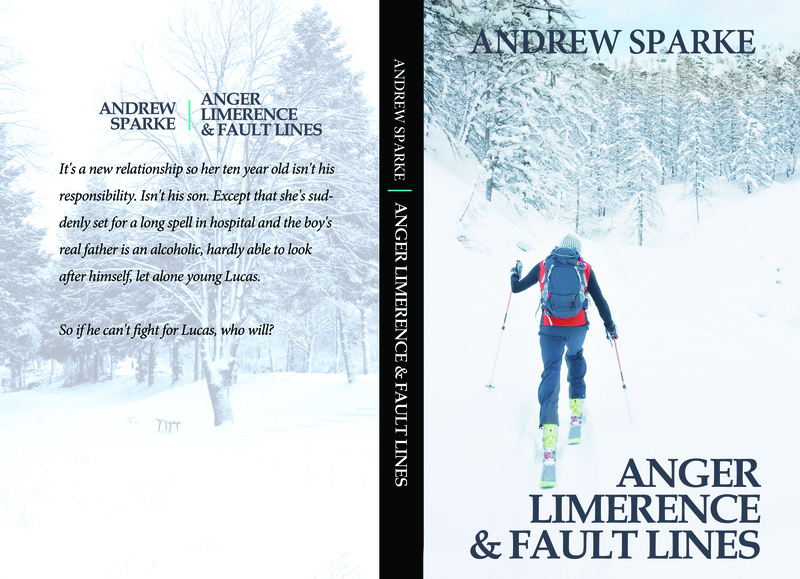 Due 2018, this book draws heavily on my own repeated skiing trips to Soldeu and Arinsal in Andorra, to the experiences of friends whose lives have been blighted by the alcoholism of a parent or partner, and to the wise, if occasionally bizarre, conversations I enjoyed over the years with my own young children and with my best friend’s ten year old son. I hope I don’t embarrass them too much. She comes off the mountain in an air ambulance. A helicopter covered in emergency stripes. Not like the jaunty orange aircraft she set off in only three hours ago. Still alive now but struggling. What a way to end a birthday. I’m not with her. Nor is Lucas. I’m nowhere near as good a skier as she is and Lucas is only ten years old. He can keep up with his mother most of the time but he doesn’t like heights and doesn’t see riding in a helicopter as a treat. More a nightmare to be avoided. So Jools went off with a couple of our friends. The only piece of luck today that one of them’s a cardiologist. Probably her saviour. Me and Lucas messing about lower down the slopes, Lucas trying to prove he can go faster on his snowboard than I can manage on two planks of laminated acrylic. While Jools’ rescue team touch down in the valley, fighting for her continued existence. Without us knowing. No premonitions. No early warning. My only concern that Lucas wants to come off piste and sail down through the trees. And we carry our gear back to the hotel. 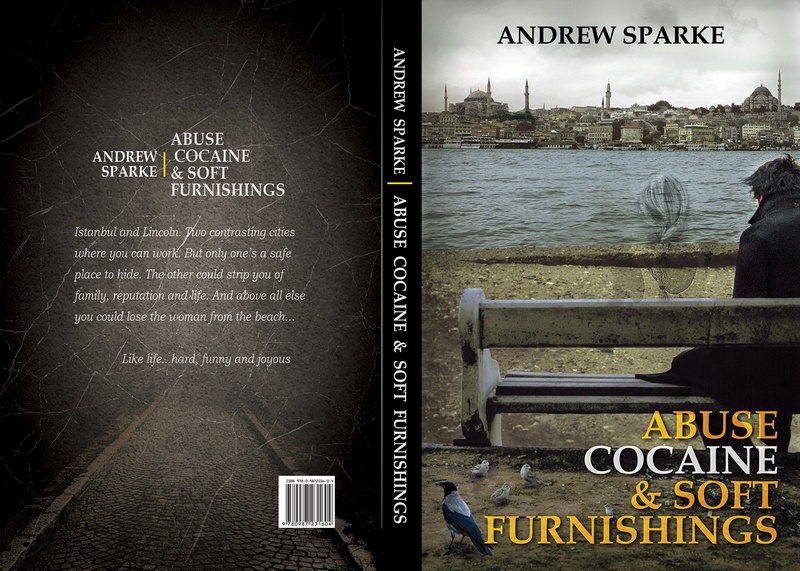 Abuse, Cocaine and Soft Furnishings is both a thriller and a love story set in Lincoln and Istanbul. 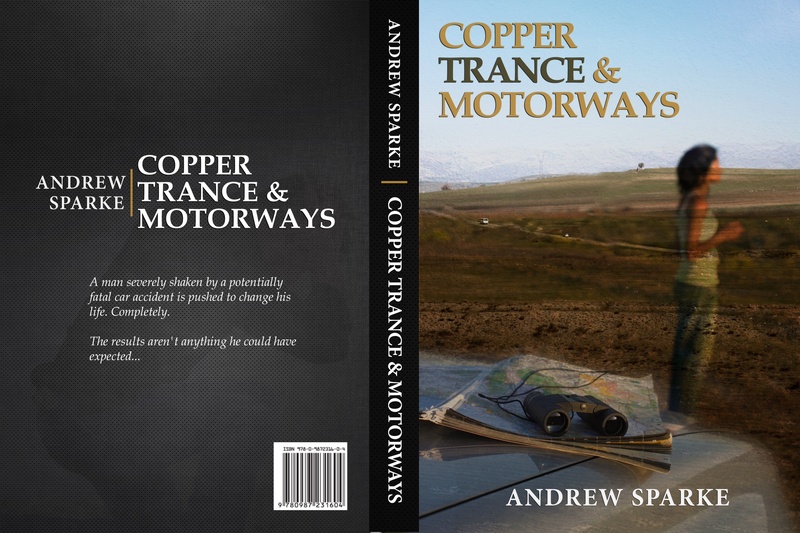 This is a first novel from Andrew Sparke and is certainly impressive as such; I was hooked from the first page. He has a great writing style – short sentences that move the story along, while also managing to somehow to be pretty evocative, giving substance to the settings, particularly of Lincoln. I like writing that makes me feel I know where I am and this does – not through lengthy description, but by making each word count. There is definitely a sense that the author has an intimacy with the characters and places, which gives them a ring of truth. Written from the viewpoint of the main character (and I’ve only just realised that we never learn his name, which I guess is one of the reasons we really feel we’re in his head), the story moves backwards and forwards from past to present enabling the reader to gradually make sense of present events in relation to the past, as the story continues to unfold. It’s a neat hook that keeps the reader gripped, wanting to find out why certain things happened at the same time as wanting to know what the outcome will be. One criticism I have is that there are a couple of times when this to-ing and fro-ing becomes confusing. The love story begins in the past, in the second chapter of the book and adds another perspective as it intertwines with the twists and turns of the thriller aspect of the book. It is told with complete honesty on the part of the main character, from when it is first introduced in the second chapter. It was actually a shock to the system to have such raw tenderness voiced by this character and I have to admit it even made me feel a little uncomfortable. It is interesting though, and perhaps my reaction says something about the expectations we can have of how male behaviour will be presented in literature. 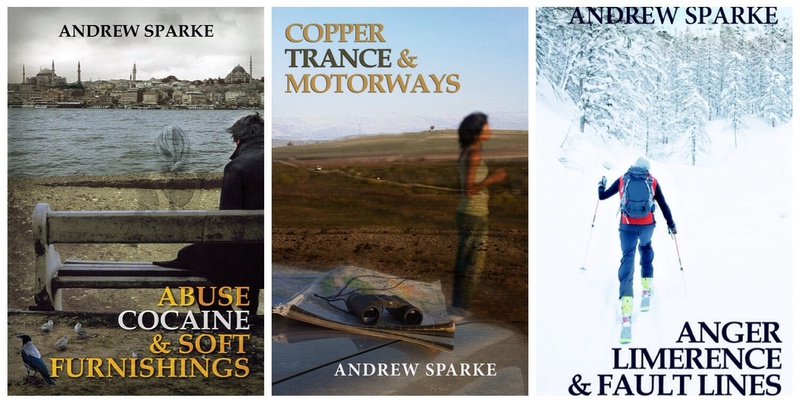 You might like to visit Andrew Sparke’s bulletin boards on http://Pinterest.com especially the board for Abuse Cocaine & Soft Furnishings, which contains pictures of many of the locations in which the novel is set.